A vendor-style New York hot dog that comes topped with a delicious onion sauce. 1. In a large pan, heat oil. Add sliced onion and cook for 3 to 5 minutes. Add garlic and cook for additional 2 minutes, stirring often. Add tomato sauce (or marinara), water, and remaining ingredients, and allow mixture to simmer for 15 to 20 minutes. 2. Preheat grill for medium heat. Place hot dogs onto the grill and cook for 6 to 8 minutes turning often. 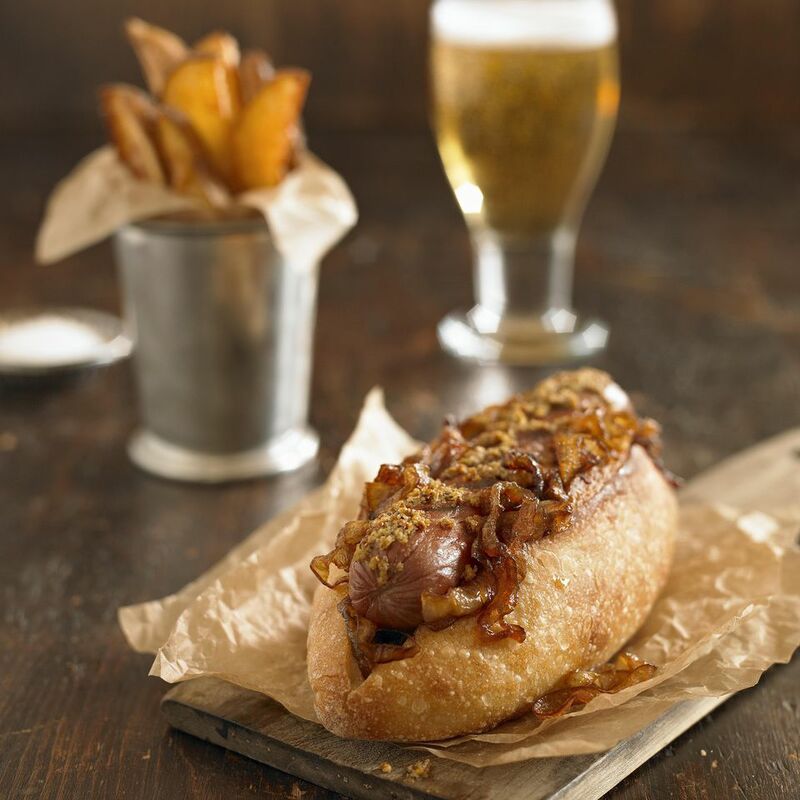 Once hot dogs are cooked through, remove from grill, place into warmed hot dog buns and top with onion sauce.